I’m sure you’ve all seen the video by now (in case you haven’t it’s below) and you all have formed strong opinions about this ridiculous meme. Many might think it was already ruined when the White House put out an explanation of it in the way that Facebook is no longer cool when your parents join it. So why would I even bring up here? There are two reasons. I love digging with students (and by myself) into the science of human perception of the world around us especially if it takes the form of puzzles, brain teasers, or optical illusions. The other reason is that I strongly believe that bringing pop culture into the classroom has inherent value. So I’ll get to the explanation and aural science behind this meme later, but, first let’s look at why it has a place in our schools. Bringing pop culture into the classroom may seem like some or some ineffective way to garner popularity amongst students that will likely go over as well as your use of the phrase ‘on fleek’. Granted if it’s only done in some fabricated gimmicky way, then integrating pop culture will reak of falsehood and be worthless. But it can be effective if it’s done in a way to genuine draw connections to your students’ external lives and, in turn, build relationships with them. It’s about leveraging student interest to introduce related content. For a time I would use a viral video of the day first thing to draw my students attention, generate a discussion, and get them immediately on task. I’ve also connected lessons to sports, games, music, comics, and movies. This could be simply relating stories or material in the classroom to popular media or teachers and students can attempt to recreate pop elements by making a music video about math or this fun one about growth mindset created by Dr. Matthew Beyranevand with his students. Flocabulary is even an entire site that shares content through hip-hop music. 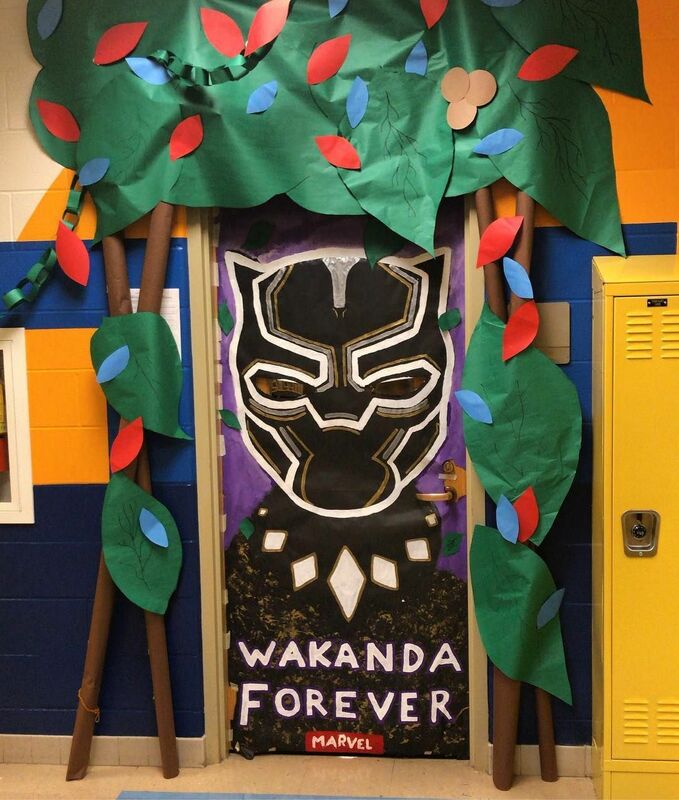 One teacher, Tess Raser, was even inspired after the film Black Panther to create the Wakanda curriculum while others like Clay Morgan hopped on the Zombie train. Other teachers in Oregon have brought the Bard to life with Lady Gaga. These all ultimately make learning both multimodal and more fun. There are a number of ways and a number of reasons bring pop culture into your classroom. It all begins by first getting to know your students to determine their interests. For me, this means occasionally digging into the Urban Dictionary because I’m not as hip as I pretend to be (as evidenced by my use of the word hip). Just make sure you steer clear of content that’s inappropriate and you’re familiar with copyright rules. It’s important to note that fair use allows for the limited use of copyrighted material without permission from the copyright holder for research, scholarship, and teaching. Respect pop culture as a valid resource. Shakespeare’s work was the pop culture of his time, so why are Harry Potter films or graphic novels a less valuable resource. If they lead to the same rigorous learning while engaging students, aren’t they just as valid? I mean, I can totally see how The Canterbury Tales are the Ke$ha songs of their day. Also, they may be in formats that are more accessible to struggling students and those with disabilities. Create memorable projects. Those videos described above fall into this category and so do coming dressed as a superhero as you teach about the role of a protagonist. Making a song can improve student retention of the content. Start a conversation. You don’t have to fashion a whole curriculum like the Wakanda one, but you could simply use elements from the film as a jumping-off point to discuss a topic like the Civil Rights movement. Have a debate. Pop culture will often produce strong feelings in opposition and learning the skills to coherently debate a topic are important. It doesn’t have to just be just pop culture questions like Team Edward or Team Jacob or should Hermione have ended up with Harry. It can simply be related like in the following example “Do people who behave like vigilantes or anti-heroes like Batman and Deadpool benefit or detract from society?” You know, you can pose those real Sophie’s Choice style questions. D ig into student interests. Have students relate their work to personal interests by giving them choice. Let biography reports be about a modern athlete, singer, or actor that interests them. If the class loves baseball, connect their math problems to that. The Zombieland example from above shows how teachers can make the content relatable. There are also a number of Zombie themed Breakouts you could set up for students as well. Make it social. Yes, adding pop culture can make an engaging social experience for students, but you can also integrate actual (or at least simulated) social media into the equation. You can create a Facebook feed for historical figures or main characters in a novel. Make students critics. It’s clear that we live in an environment where it is difficult for people to tell what media is valid and what is ‘fake’ so we should teach our students to be careful purveyors of content. You could dig into advertisement claims to see which the reliability of their rhetoric. So now specifically to the Yanny/Laurel debate. I’m able to hear both depending on how I focus but there are many determining factors. It’s important to note that it is a secondhand recording which adds to the issue. That means there’s digital static kind of like when you take a picture of your tv. That static, mostly on the high-end frequency, causes people to hear Yanny even though it wasn’t originally said. There are other mitigating factors too like if like the speakers you’re listening to it through, your equalizer settings, and even your age. Young people and those who haven’t listened to too much loud music or power tools can hear high pitches better. There are many other interesting facts about sounds that you be unaware of. For example, did you know engineers adjust your car doors with dampeners so they sound more substantial than they would automatically so you’re more likely to think the car is solidly built and buy it? The shutter noise on digital cameras and on your phone are entirely fabricated. Electric cars have false acceleration noises for safety. Separately, sound (especially when related to language can be highly visual. You may hear the gif above though there is no sound. Your brain fills it in. There is also the McGurk effect of how a sound may only be interpreted correctly when seen because the sounds for things like ga, ba, and da are very similar and it is mouth position and context that tell us which is intended. Alternately studies show that closing your eyes to listen can help you more reliably pick up emotional cues in what someone is saying. There are many other interesting facts about the science of sound like sound travels faster in water and not at all in space. Or how about that a whale’s voice can travel 479 miles and volcano eruptions are the loudest noise on earth. there are no molecules to travel. If you want to explore further, the San Francisco Exploratorium has an app called Sound Uncovered that explores these concepts further.